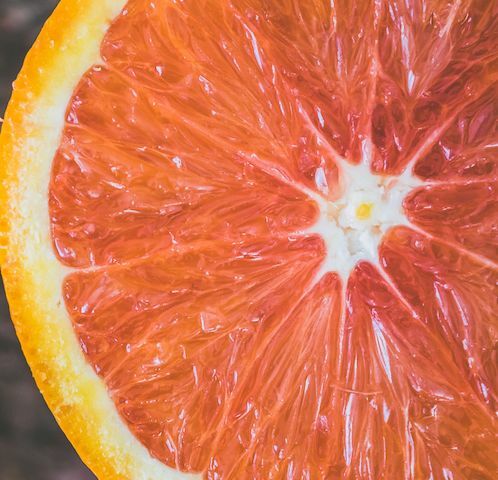 (CNN)One company is doubling the shelf-life of avocados, citrus and other produce by taking a chemical-free cue from nature. Many of us have been instructed at one point in our lives to finish the food on our plate because people elsewhere are starving. But we don't always listen. In fact, an estimated 1.3 billion tons of food — or one-third of all food produced for human consumption — is wasted annually. One in in nine people worldwide go to bed on an empty stomach each night. It was on a drive through verdant farmland in California that Apeel CEO James Roger heard a story on the radio about global hunger. "According to the numbers, we were producing more than enough food to feed people," he recalled thinking. After researching the issue, he realized spoilage was at the root of the problem. In 2012, he founded Apeel Sciences, which aims to extend the shelf-life of food and reduce waste. Rather than relying on chemical agents to preserve fresh produce, it develops a special protective coating to slow down the rotting process. The company turns the oil from fruits and vegetables into a colorless, odorless, tasteless powder to preserve its longevity. The company is backed by Micorosoft cofounder Bill Gates and venture capitalist Andressen Horowitz, and has raised $110 million dollars in financing to date. Walter Robb, the former co-CEO of Whole Foods, recently joined its board of directors. According to the United Nations, 40% of food loss and waste happens after it is harvested and processed in developing countries because transporting it is an infrastructure challenge. It is also expensive due to the need for refrigerated trucks. In developed countries, a significant amount of loss happens at the retail and consumer level — we throw the food out when it's spoiled or no longer meets our standards. "All of the energy — everything that's required to get the food from where it's produced to ultimately being on that store shelf, throwing that away — that's a tragedy," Roger said. It's also bad business. Food waste is nearly a trillion dollar loss globally. Apeel offers grocers the potential to boost margins by reducing waste. Food typically rots when moisture exits, oxygen gets in and mold takes over. To prevent this, Apeel takes the skins, seeds and pulp of homogeneous fruits or veggies -- such as grapes from a winery or tomato skins from a ketchup factor -- and presses out an oil rich in fat lipids. The company turns the oil into a colorless, odorless, tasteless powder that is tailored for each type of produce to which it will be applied. Apeel says its product can double the shelf life of fruits and vegetables. It's then mixed with water by the suppliers before it arrives at the store. The produce is either rinsed in or sprayed with the mixture at packaging facilities, essentially creating a second "peel." The product is recognized as safe by the Food and Drug Administration. Apeel says the process is doubling the shelf life of fruits and vegetables and can triple it inside their lab. It aims to extend the life of some produce by four times. "As we start to approach four-time extension for fresh produce, we can completely flip on its head this idea that we need cold chain storage in order to get fresh produce from where it's grown to where it's going to be eaten," Roger said. Apeel products are on shelves in more than 200 US stores, including Costco and Kroger. Harps Food Stores, a grocery chain testing with avocados, said it has already seen a 50% boost in avocado profit margins because it is taking advantage of the longer shelf life and throwing out less product. Customers see no price difference at checkout, according to Apeel. Apeel is already expanding outside the United States with partners in Africa to help lessen the load on global infrastructure costs. One of the highest costs a country can bear, Roger added. "If you don't need to install electricity grids and refrigeration equipment at every point along that supply chain — and can instead deliver a pouch of our material, which is lightweight and low cost to distribute, to a remote region where it can then be applied — you now have an extra week to transport it without refrigeration," he said. "That has the opportunity to be really transformative."